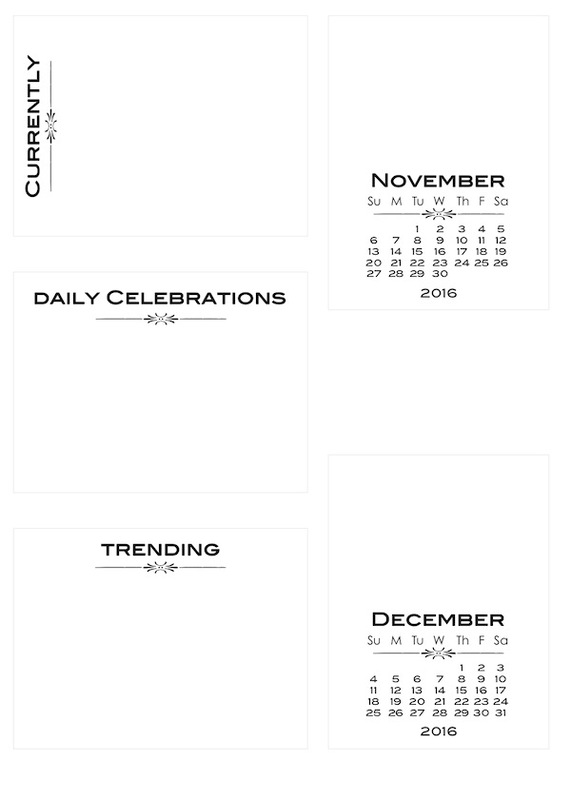 3×4 Project Life Calendars…to decorate? Seemingly fairly boring, right? But imagine the possibilities… stamp, stencil, emboss, doodle, etc. But it doesn’t even have to be that complicated – what about simply adding a strip of patterned paper across the top edge to tie the calendar in with something else you used on your layout? Or go to the other extreme and create on of the little collage spots with scraps of paper, stickers, brads, mini-tags, etc? Can I come up with 12 different techniques, one for each month? I’ve mentioned six already, are there six more? Hummmm…. Will you be making these into a 2017 calendar. I just love them and would love to make my christmas calendars as gifts with these. I finally found after a long search the perfect ones to use but the dates are wrong. Please let me know. 🙂 I just love this and it would be so beautiful completed. Check the menu at the top. They are there, although the sample shows them decorated not blank! You are the best! I’m so happy I came across this website as its saved me lots of time and trouble. So THANK YOU! Are these available in a bigger size? I think it would be great! No, but what did you gave in mind? It should be easy enough to sort. I think I figured out that something like 3.5 x 5.25 would still fit 4 to a page, both A4 and U.S. letter. How would that be? Your Calanders are always SO beautiful . I dont have the patience that you do to create them. I DO make calander gifts every year for people at work – the request list gets longer each year. Mine are keyring size and I download a freebie onto an A4 sheet. Are any of yours this small? I’ve certainly done them tiny but not for a few years. I’m sure I can mange one if you give me some more specifics….